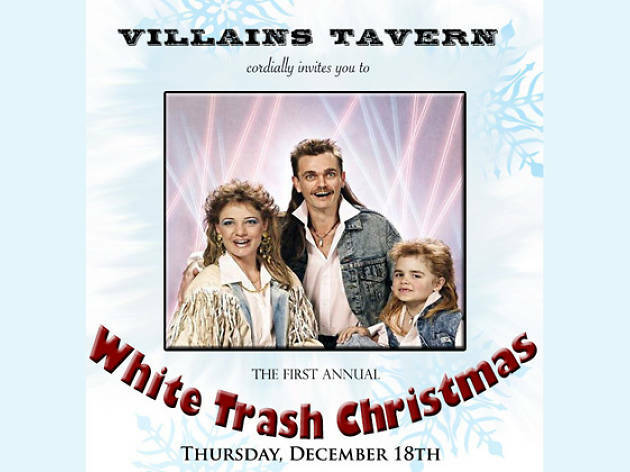 Amid all of the gift wrapping, table setting and general holiday decorum, indulge in some belly warmin', finger lickin' fun at Villains Tavern's first annual White Trash Christmas. 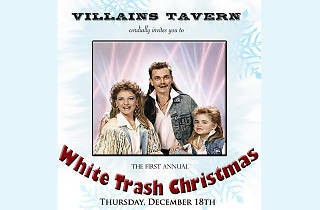 For one night only, the Arts District bar will be serving up $2 Keystone and Schlitz tall boys, $4 homemade Jameson Fireball shots and holiday cocktails including white chocolate peppermint martinis and trash can punch. On the food side, stuff your gullet with green bean casserole topped with Funyuns, pigs in a blanket, Velveeta Mac and cheese, fruitcake ice cream sandwiches and frosted cornflake-coated turkey legs. There's no cover, and you can RSVP for a table or sweet, sweet boozy Jell-O molds.